Discover-Create-Experience Luxurious Leather at Be Seated Leather. 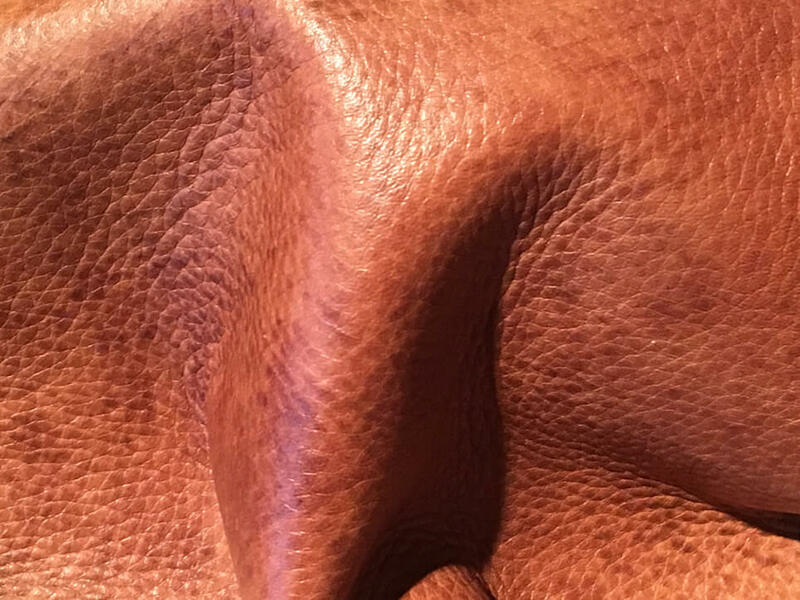 Discover – Create – Experience Luxurious Leather at Be Seated Leather. 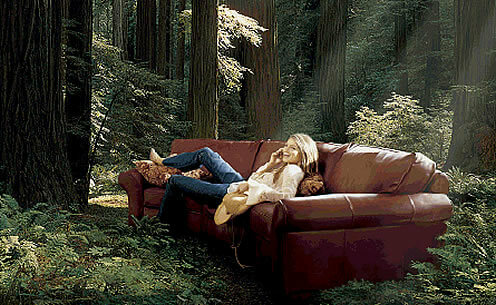 Discover Michigan’s Largest Quality all Leather Furniture Showroom. Let our Leather Furniture Experts Create the right leather for your home and Experience the exceptional comfort of style for the discriminating leather buyer at the Guaranteed Price. Our buyers evaluate the latest leather tanning techniques to provide you the best. Leather has a vigor, supple feel and wear-ability setting it apart from other fabric coverings. Because leather has an average life span far exceeding that of other fabric coverings, it’s easy to understand why the World is increasingly discovering the tremendous value investment leather represents .No one knows Leather like Be Seated Leather, let us help you discover what’s important to you in leather home furnishings and experience Be Seated Leather. Treating raw hides to reduce their perish-ability. Any post tanning treatment, such as dyeing, rolling, pressing, spraying, lacquering, antiquing, waxing, buffing or glazing. A genuine leather possesses its original, natural grain; leather which has not been altered, typically better quality leathers. 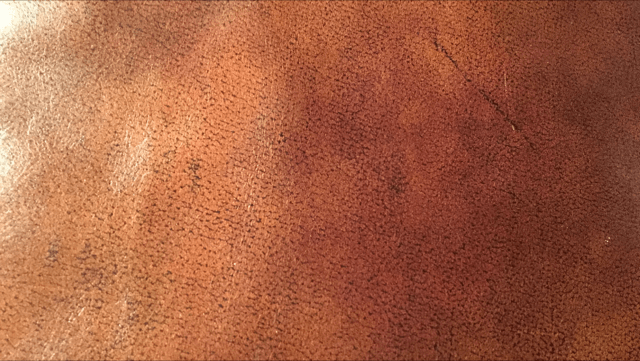 The top surface of the hide, most desired with all natural properties for quality leather furniture. The distinctive pore and wrinkle pattern of a hide; may be either natural or embossed. Graining, like human fingerprints, is unique to each individual hide, and is the hallmark of quality full-grain leather hides. These form usually as a result of barbed wire damage the horns of other cattle and other variations in grain pattern that occur during the life of the animal. Actually a signal of better leathers. The massaging of Hyde’s to ensure glove softness. Done after finishing process they are tumbled for several hours. De constructed leather accentuating natural markings generating a vintage appearance in cowhide only offered by custom applications. These leathers over time develop there own unique patina with use. Nothing could be more natural. Adding depth to a leather hide finish, this marbled appearance comes from blending colors during the dyeing process or hand padded. Lovers of truly natural products are particularly fond of these leathers: their buttery, glove-soft texture add an extra dimension of comfort to your sofa or chair. To create this luxurious softness and their rich gem like colors, aniline dyed leathers are tumbled for up to 12 hours in drums containing transparent dyes. These dyes enhance the subtle textural and color variations of each hide. Through the years, pure aniline dyed leather develops a distinctive patina which add to its value as a focal point in your home. 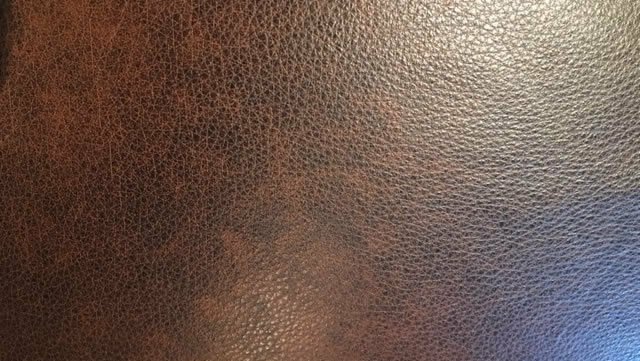 Sometimes called “Aniline Plus”, these leathers are first drum dyed in penetrating aniline dyes. Then a thin matching topcoat is applied to even out the color of the hide surface. The topcoat also serves to protect against fading and stains. Semi-Aniline leathers are available in hundreds of colors. They retain most of the softness of their aniline dyed cousins because the natural top grain is left intact. A much larger proportion of the world hide supply is suitable for this class of leathers and as a result are more moderately priced. A good choice for active family. No two hides are alike and due to the varying grain structure mentioned below, the dyes and finishes penetrate to differing degrees in different parts of the hide to give an attractive variation. While every attempt is made to achieve uniformity this is not always possible. Many hides are marred by naturally occurring imperfections. Insect bites, barbed wire scars, scrapes and other defects make them unsuitable for your home. To remove these imperfections, corrected grain leathers are first sanded or buffed, then embossed to restore the grain pattern. Finally, a dense protective coat is applied. Some natural softness is sacrificed in this process, but this makes for the most economical grade of top grain leather.